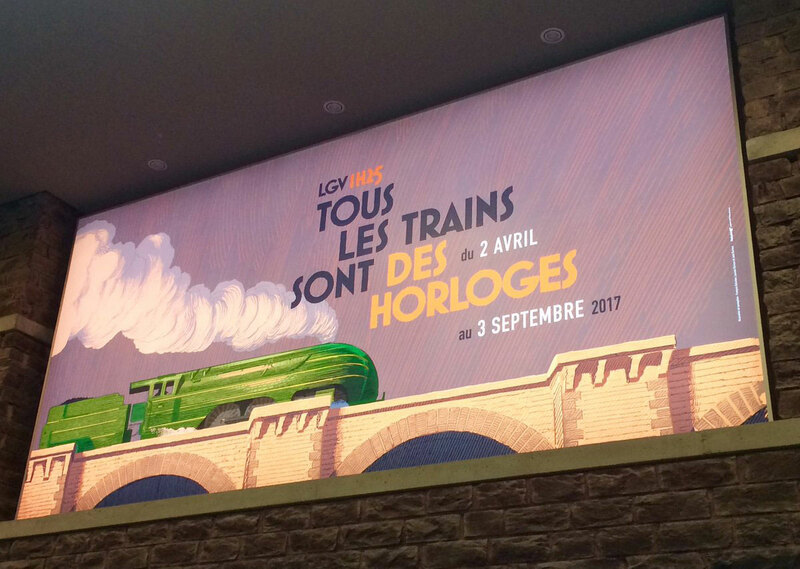 Tous les trains sont des horloges is an exhibition about the mysteries of the imaginary railway. The exhibition is held from April 2 until September 3, 2017 at Les Champs Libres in Rennes 1). 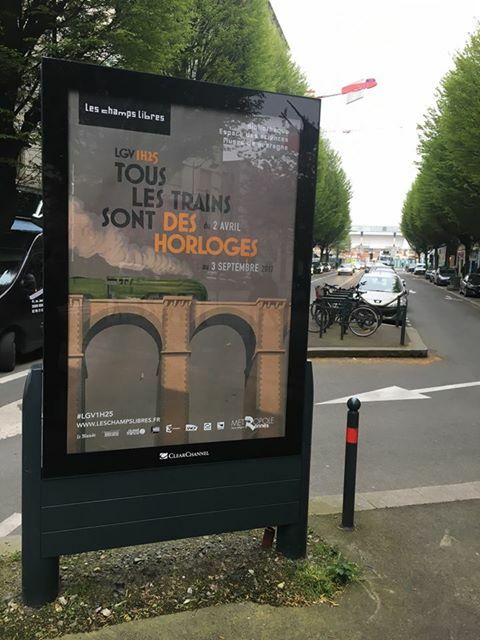 Tous les trains sont des horloges is a collective exhibition of unpublished work, between contemplation and speed, technology and poetry. One source of inspiration for these artists in different universes: Cécile Léna, Pierrick Sorin, Flop, Jean-Michel Caillebotte and Joanie Lemercier. The announcement poster of this event is made by François Schuiten and Laurent Durieux. La Type 12 - Reflet is a video artwork by Joanie Lemercier 2). This artwork is based on an image by François Schuiten. Three variants with different lightning.